With an unmissable Italian style, this yacht’s interior is designed to provide the utmost comfort with an incredible taste using noble materials such as wood, stone and metal in a superb layout that guarantees total privacy and relaxation out at sea in a luxurious, modern and efficient vessel. The BUGARI F86 is the shipyard’s first built of this line of yachts with a concept of fusion design based on an integrated yacht concept. The 87-foot (26.5m) BUGARI F86 is a new-build masterpiece showcasing fine Italian craftsmanship, innovation and superyacht qualities. With an unmissable Italian style, BUGARI F86's interior is designed to provide the utmost luxurious comfort. The yacht showcases an incredible aesthetic using the finest woods like Italian Canaletto Nut,for the furniture, white Oak is used for the flooring in the Salon, stones, like dark brown Imperador Marble is used in the galley and staircase and high polished inox used in the furniture inlays. All cabins have a high-quality white carpet throughout and the walls are covered with Mastrotto white leather. BUGARI F86 features a superb layout, which guarantees total privacy and relaxation at sea within a luxurious, modern and efficient yacht. Motor yacht BUGARI F86 accommodates eight guests in four lavish staterooms. The yacht’s main-deck master suite is a private oasis complete with its own foldout terrace and special access to bow seating and sunpads. Thanks to the yacht’s wide-body design, the master suite is exceptionally spacious — the largest in her class. Large windows and a skylight envelop the master with an abundance of natural light and stunning views. BUGARI F86 also features two VIP staterooms and a twin-bed stateroom. The luxury yacht also has accommodations for three crewmembers. BUGARI F86 provides the best of the alfresco lifestyle. The yacht’s flybridge offers ample space for lounging, relaxing and sunbathing with a Jacuzzi, covered seating and a barbeque area. She also features a spectacular bathing platform providing the ultimate retreat right at the water’s edge. 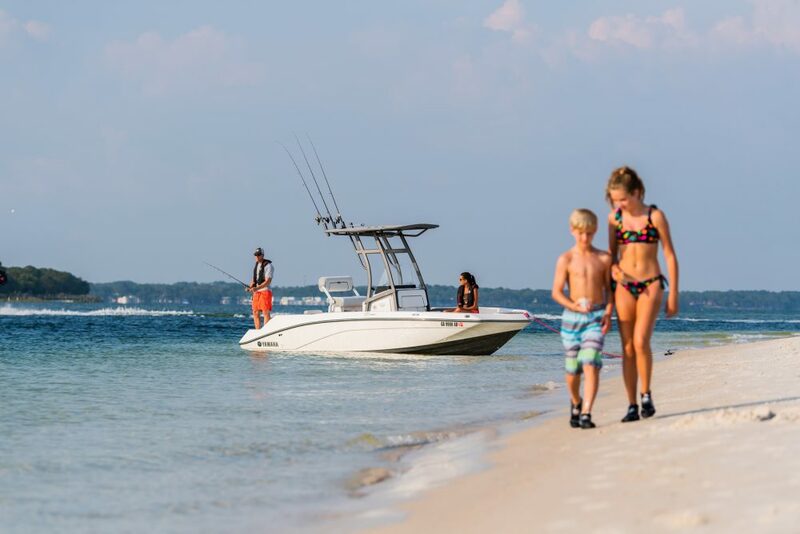 The platform can be retracted by three-feet two-inches (one meter) to create freedom to maneuver in marinas and smaller spaces. 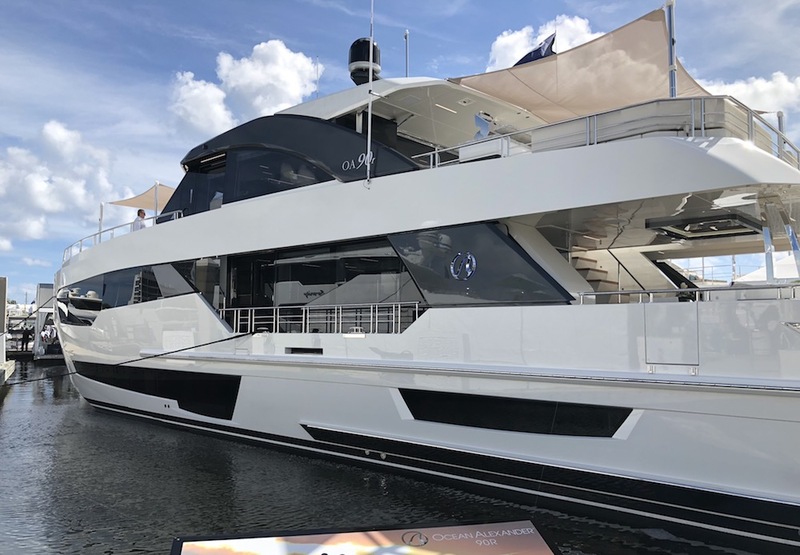 The motor yacht features Bugari’s cutting-edge “Fast Eco Hull,” which simultaneously provides excellent maneuverability and stability even at low eco-speeds of between 10 and 14 knots for long-range cruising of 1,500 nautical miles. 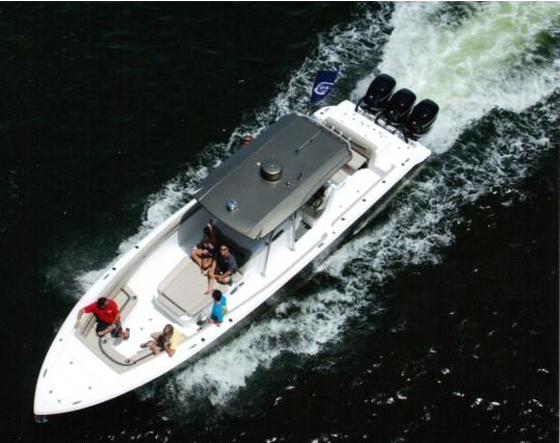 With the owner cabin located in front of the main deck the owner enjoys maximum privacy. The crew works outside over the owner cabin and this way the inside of the owner cabin cannot be seen by crew members or guests. Thanks to the “wide body” design idea the owner of the yacht gets the largest and most spacious owner cabin available in this class of vessel. Big side windows in the bedroom and wellness area, as well as large skylight windows over the owner bed, provide a natural daylight ambience throughout the whole cabin area. Another unmatched feature in this class is the foldout owner terrace. with this option you can extend the owner cabin and so optimally and privately enjoy, for example, the ambience of an undiscovered bay or ancient city. 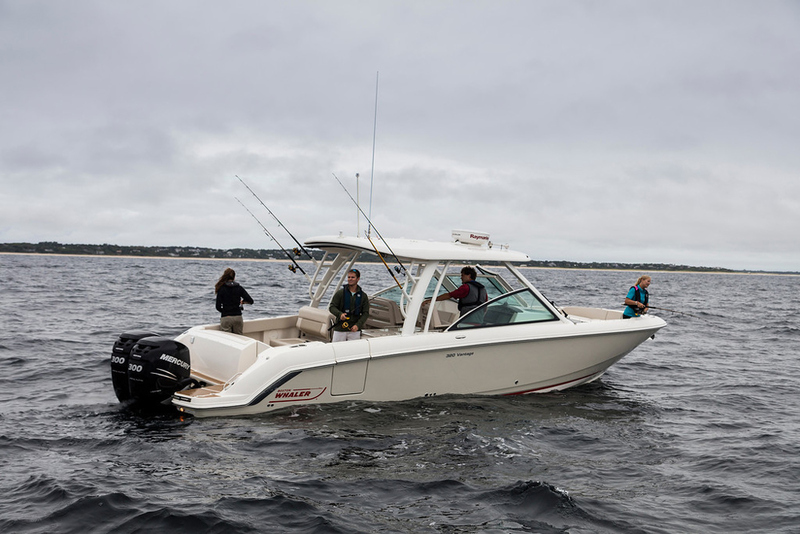 The direct access from the owner wellness area to the outside bow area, and the connected bow seating and sunbeds, guarantees the utmost privacy even for the outside bow areas. The BUGARI Fast Eco Hull is a cutting-edge innovation which sets new standards in naval architecture. The underwater hull is a completely new design minimizing the change from displacement to hydroplaning ride and optimizing the planing characteristics mainly at slow and fast cruising speeds between 20 and 25 knots. example: at 20 knots half load condition (80tons) the FEH consumption of BUGARI with 2 x Man 1,800hP was measured with 15.9 ltr/nm (318ltr/h). a conventional V-hull with shaft propulsion in the same displacement range would usually need about 21.5 ltr/nm (430 ltr/h) or more. This means that with a conventional V-hull you would need a minimum of 112 ltr/h or 35% more fuel than with the new BUGARI Fast Eco Hull. Thanks to the new hydrodynamic geometry the BUGARI Fast Eco Hull simultaneously provides significantly better maneuverability and length stability, even at low eco speeds between 10 and 14 knots for long range cruising. example: at eco speed 11 knots half load condition (80 tons) the Feh provides a consumption of about 7 ltr/nm (77 ltr/h), which means a maximum cruising range of over 1,500nm by keeping 500 ltr fuel reserve. You will feel the BUGARI Fast Eco Hull experience when accelerating and changing from displacement to planing ride: the ship will move up but always stay in a comfortable horizontal position with practically no change in length angle. A garage for the tender and jetski is an essential part of the BUGARI fusion design concept. The comfortable handling of the toys in the garage is supported by a new concept to the bathing stairs design, which can be converted into a pier in a horizontal position. This new type of movable stairs can be either used as bathing steps or a pier for toys, as well as for more comfortable entering of the vessel from land. The bathing platform is not only immersible but also retractable by one meter for better handling. 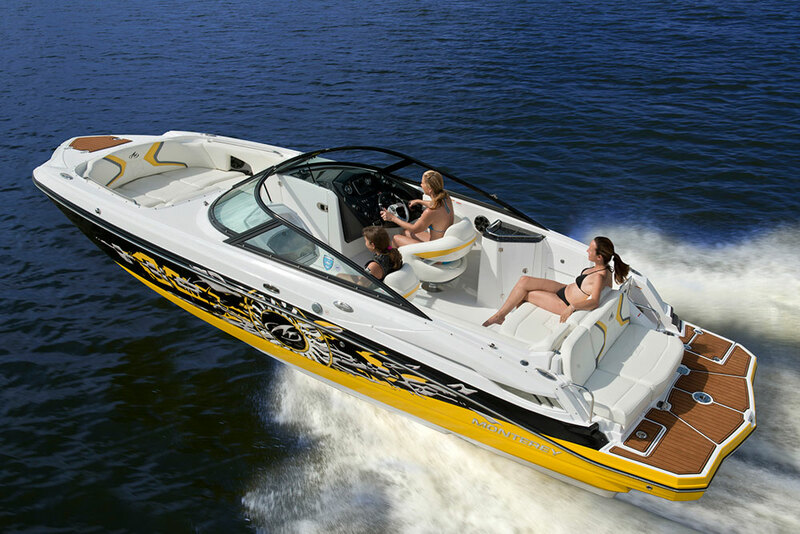 The garage can accommodate a tender up to 4.5 meters and a jetski 3.2 meters. The layout positions of crew cabins, the galley, and interior steps to the fly and pilot stations, guarantee smooth crew operations while the privacy of the owners and guests remains undisturbed. Also important in this regard is the layout position of the owner cabin in the front of the ship, whereas the crew cabins are positioned in the stern and directly connected with the engine room. With an unmissable Italian style, this yacht’s interior is designed to provide the utmost comfort with incredible taste using noble materials such as wood, stone and metal in a superb layout, that guarantees total privacy and relaxation out at sea in a luxurious, modern and efficient vessel. The yacht’s flybridge offers ample space for lounging, relaxing and sunbathing with a Jacuzzi, covered seating and a barbeque area. Main deck with big hall provided with welcoming c-shaped sofa and double front sofa, open designed bar with external entry from crew service side. The large Kitchen, with a double fridge and rollaway doors, is located on the lower deck. The Galley is fully equipped with all modern appliances, ensuring the crew can give efficient and professional service to guests.